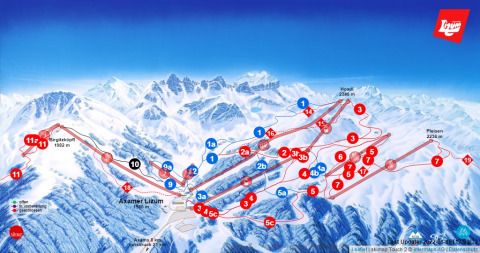 Ski resort ratings for Axamer Lizum compared to all other ski resorts. Based on 180 reviews. Axamer Lizum is one of the most reliable of the many little resorts around Innsbruck. Don	be put off by its 830m starting height (which refers to the valley runs). The resort is actually at 1580m and most of the slopes are higher still. Coupled with extensive snow-making, snow reliability is therefore considered good.